Does protecting the environment alleviate poverty? 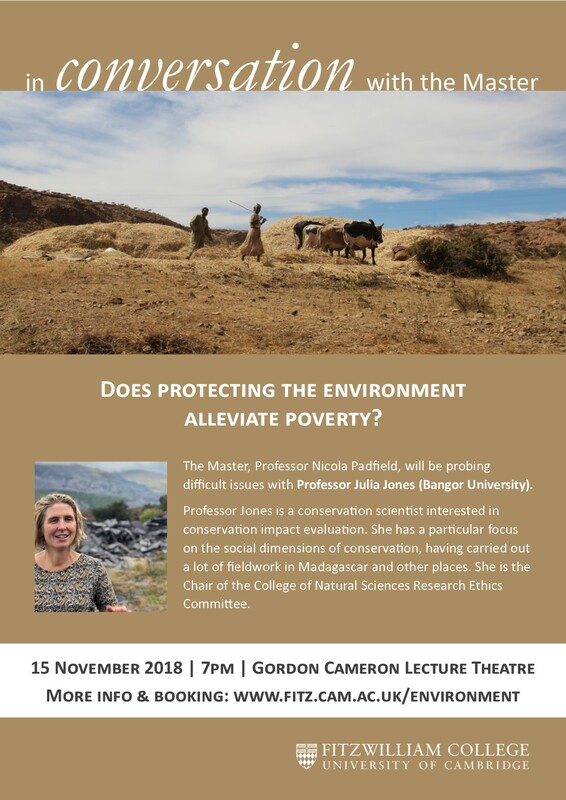 The Master, Professor Nicola Padfield, will be probing difficult issues with Professor Julia Jones (Bangor University). Professor Jones is a conservation scientist interested in conservation impact evaluation. She has a particular focus on the social dimensions of conservation, having carried out a lot of fieldwork in Madagascar and other places. She is the Chair of the College of Natural Sciences Research Ethics Committee.